Support for your athletic program comes from many places. Most people think of those who take part in the program, colleagues, booster clubs, the local community and state athletic associations when trying to rally support but have you ever thought of contacting your state legislators? Getting the attention of your state law makers is not always easy. Some folks are lucky enough to have Senators in their state that have been part of local athletic programs in the past, many have played sports, perhaps even at your school when they were young athletes. 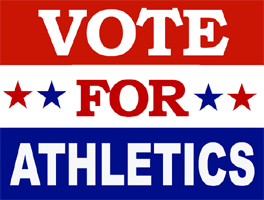 Unfortunately other folks aren’t so lucky but that doesn’t mean you can’t build a relationship with some of your state legislators to get their support for athletic programs in your state. Here is a great article written by Juli Doshan that was published on the NFHS website that will help you get started.